I just wanted to do a little follow up about our recent strange experience with our shop at Handmade at Amazon. For a quick refresher about what happened to us - visit this post. I posted that post link on various social media outlets and even tagged Handmade at Amazon in a post or two directly, hoping to gain any attention. Being in the Seattle area, we have a handful of friends who work at Amazon and extended offers to connect me to someone who could help. Which ultimately got me in contact with someone at Amazon! I received an email a day or two after posting my blog post about our experience from an actual person at Amazon. He inquired about my issue and I directed him to my blog post for reference, since I laid it all out there. Soon after that contact our account was restored! He did offer a direct phone call with me after our account was restored just to make sure that we were good to go. I declined because we got what we wanted, just to have access to our account again. Shortly after that, I received a direct email from the leads at Handmade at Amazon team. They just wanted to speak with me about my experience over the phone, which I appreciated. They were very apologetic and told me that what happened to us was a weird isolated event, which was reassuring. The two that I spoke with were very nice and gave me the platform to mention things that I felt were frustrating. For me it I was bent out of shape about not being transferred to the department that I needed to speak to by a customer service representative. C'mon I know Amazon has that ability! Secondly, my disappointment in the the on site representatives promoting makers to join Handmade at Amazon at a large local craft lack of information for contacts for sellers. Lastly, this one was more on my own personal expectations as a long time maker, I'm used to having one on one contact with selling sites (I've been with Etsy a long time and have met quite a few admins over the years and they were always very accessible) and direct contact with customers. It's apart of the charm of the handmade maker scene. You are buying from a person who put their hard work and hands on the products. It's a personal experience. I felt that element was missing from Amazon's support. In the end, we got the help that we needed after all. I hated having to get the attention that we wanted to resolve the issue the way we did though. Thankfully, we were told it was an isolated incident but they wanted to make sure something like this will not happen to other sellers, which was nice to hear. Thanks to everyone who shared this and got us the help we needed. We're excited to announce our newest stockist is the Multnomah Falls Gift Shop in Corbett-Bridal Veil, Oregon! It's a great honor to have a few items from our Pacific Northwest Lifer line available at such an iconic location. If your travels take you by the falls this summer, be sure to pop into the shop and look for our stuff! We're breaking into the east coast territory!!!! We're so excited to call the World of Mirth in Richmond, VA our newest stockist! If you are on Instagram head over to World of Mirth's account now. It looks like the most magical store in the world! A personal visit to this shop is very high on my bucket list! If you are in the Richmond, VA area, I am sooooo jealous of you! Please go visit WoM for me! Speaking of Instagram just a second ago, I know content here hasn't been super interesting lately. John and I are a duo company and we've been very busy processing orders, creating custom work and new products that we will introduce over the next few months. BUT, I do post photos on our Instagram account @6by6arts. Shots of work, photos of our home & office, just basically our life in general. Part of the fun of opening up your business to wholesale accounts is discovering local places that are unknown to you. Our newest stockist is Throwing Mud Gallery in Tacoma, Washington. Throwing Mud Gallery is a place to learn, shop and make! Owned by Mark and Eileen, who are long time Tacoma residents. 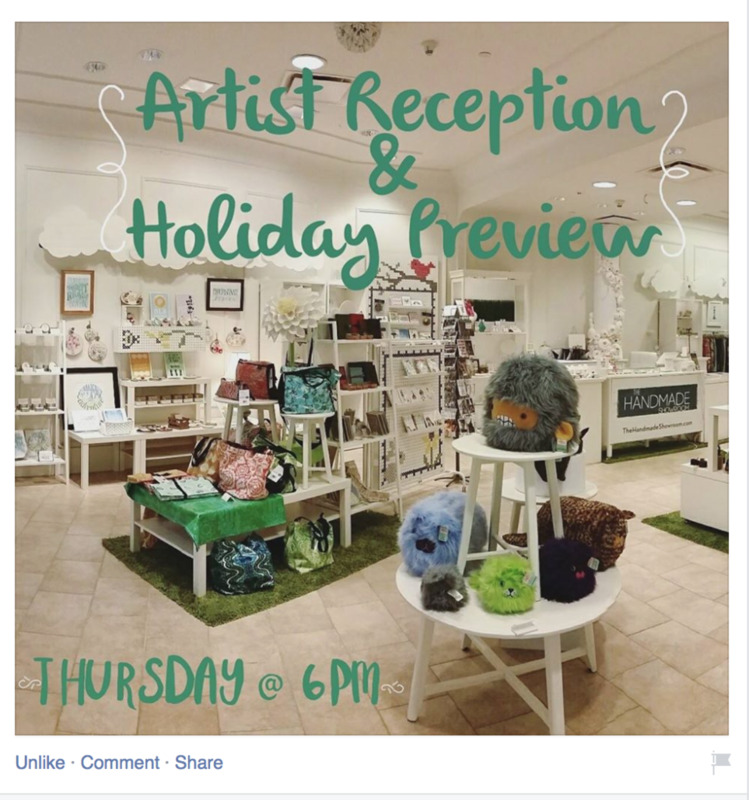 They support fellow artists in the Pacific Northwest area by featuring regional makers in their gallery. We are honored to be a part of that group! Throwing Mud gallery now carries a selection of our keychains, magnets and wall art. If you're in the Tacoma area be sure to stop by! We live in age of subscription boxes. Which is kind of wonderful. The ability to try a sampling of a bit of this and bit of that is fun and low risk. I personally love the surprise element of them. We were excited when we were approached by the wonderful ladies at Your Secret Admirer to add little sweet additions to their boxes and some items to their boutique located in Seattle's Pioneer Square. Your Secret Admirer has a fun format where you get to choose additions to some of their readymade boxes or select their boxes as is for someone you admire. It's very sweet! 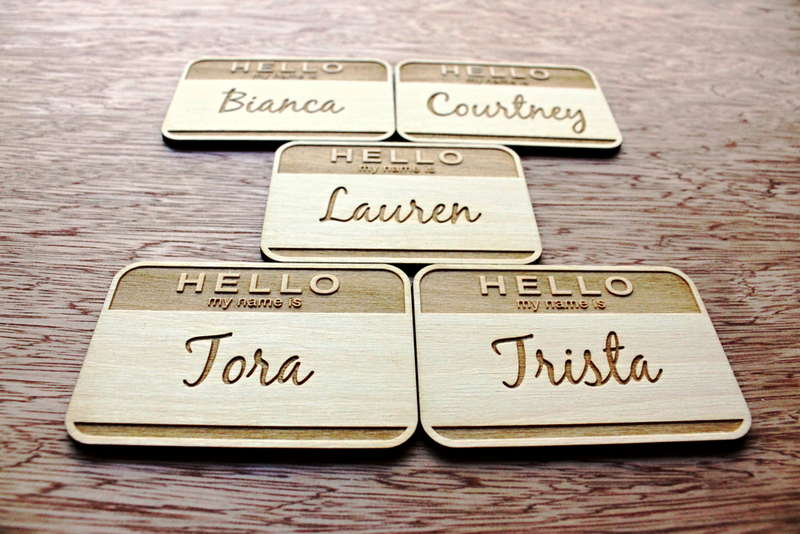 We met Your Secret Admirer right before their boutique opened and along with their order of our regular product they commissioned custom name tags for their employees. We're thrilled to provide products for such a fun and sweet service! Although, we've been working many long hours for what feels like slow and steady building for our still infant business, we've managed to get a "dream" customer. When I lived in West Seattle, my son's class had a field trip to The Museum of Flight. He came home exhilarated from all the awesome things he saw and learned about. That went on for days and even now that he's a junior in high school he still mentions every once in a while. When we were approached by the Museum of Flight to design a couple products for the museum's gift shop in addition to some of our original designs, it was a like scoring instant mom points with my son who is such a fan. I already had a rocket ship chalkboard magnet in development as well as some constellation "ornaments". Rocket ship mini chalkboard with magnets. We designed it so a photo or drawing could appear in the rocket ship. A photo the size of a standard small school issued photo. 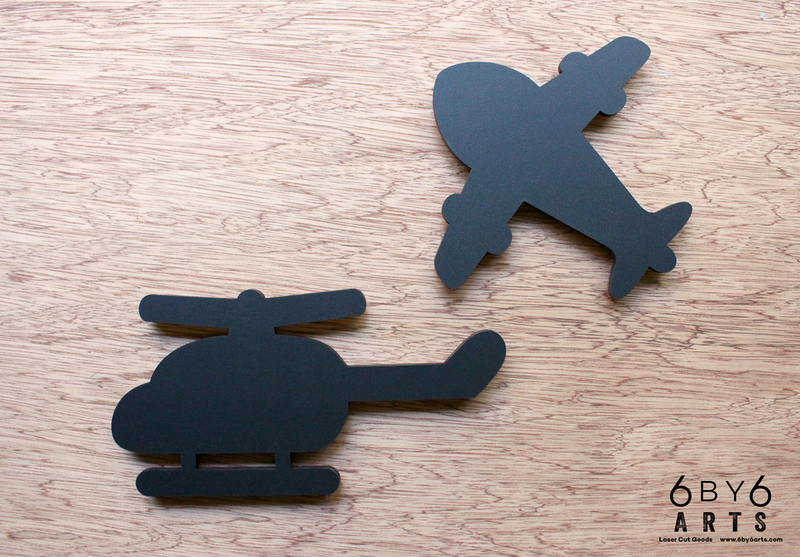 They asked us to develop some additional chalkboard magnet designs, a helicopter and a plane. These designs are currently only available at The Museum of Flight Store. The designs are simple and themed of course, but it was still a complete honor to do this project and be asked to carry our original works too. As a Navy "brat" who grew up around a Naval Air Base here in Washington I love everything that The Museum of Flight offers and shares. We are very excited to announce that we are shipping across the lake to day to our very first brick and mortar stockist in Seattle - Rogers & Ryan. Margaret, (the lovely owner of Rogers & Ryan) ordered up a few things from our Pacific Northwest Lifer series for her shop. Make a mental note of shops you can visit for any gift giving or Treat Yo' Selfin' that you may or may not have planned.